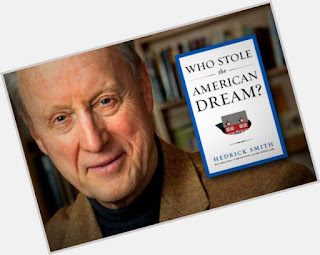 "In 2012, two-time Pulitzer Prize winning reporter Hedrick Smith wrote the book “Who Stole the American Dream?” Tuesday, Feb. 5, he’ll return to the Seacoast to share stories of ordinary citizens who are returning power to the people through grassroots political action." Smith will share his insights with the public at Seacoast Media Group, 111 New Hampshire Ave., on Tuesday, Feb. 5 from 8 to 9:30 a.m. The event is free and open to the public but an RSVP to news@seacoastonline.com is required. If you have questions, call Executive Editor Howard Altschiller at (603) 570-2202.